The Charterhouse is an almshouse and museum based near the Barbican, providing residential care to a community of elderly people since 1611. Situated on 7 acres in central London, the majority of our buildings date back to the Tudor period, with elements of medieval, Victorian and more modern architecture. With links to some of the most famous people and periods throughout English history, this is an exciting time to join the organisation. We require enthusiastic staff to join our small team working at the Charterhouse in Charterhouse Square, London. Duties will include waiting and drinks service. You would be joining our bank of flexible staff. Duties will include waiting and drinks service. You would be joining our bank of flexible staff. Duties will include food preparation, food service and cleaning the kitchen and dining area. Shift patterns include – two days per week and two weekends in five. Rate of Pay: £9.75ph. The Charterhouse is seeking Bank Staff to work in our catering department. You would be joining our bank of flexible staff. Rate of Pay: £9.75ph. 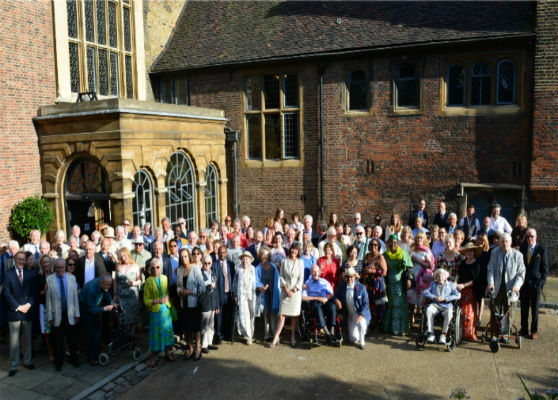 We often have lots of exciting opportunities to volunteer at the Charterhouse for anyone aged 18 and over. If you’re looking to gain experience for your CV and develop new skills we may have an opportunity for you in our museum, learning, infirmary and gardening programmes. Unfortunately at this time we cannot take any volunteers who are under 18 years of age. As an alternative, we do offer two student work experience placements per year, organised through our partners Inspire! We are unable to take any direct requests outside of this. We are looking for a team of enthusiastic and motivated volunteers to join our Gardening team. This role will focus on supporting the Head Gardener in maintain the public and private outdoor spaces, and also assist in “bringing the presence of the Garden inside” through workshops such as flower arranging using our local materials. This team will spend at least half of every session working in the Gardens, so wearing appropriate clothing and being happy outside is required! The sessions are weekly every Wednesday afternoon, although you are not required to attend every week. If you are interested, please read the Role Description and fill in the attached Expression of Interest form, and return it to holly.walker@thecharterhouse.org before 5pm on Wednesday 24th April.